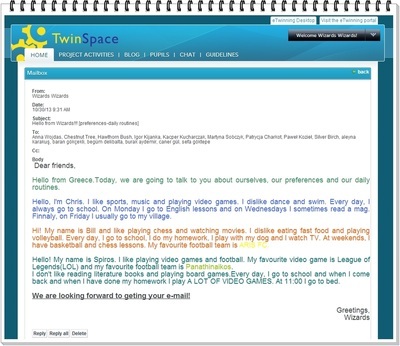 * Students of ST2 are involved in this eTwinning project during the school year 2013-14. Students from Demenika Primary School in Greece, will get to know students from the above mentioned countries in a project that aims at making them practice their English , thus further developing their writing, listening, speaking and reading competence in English. 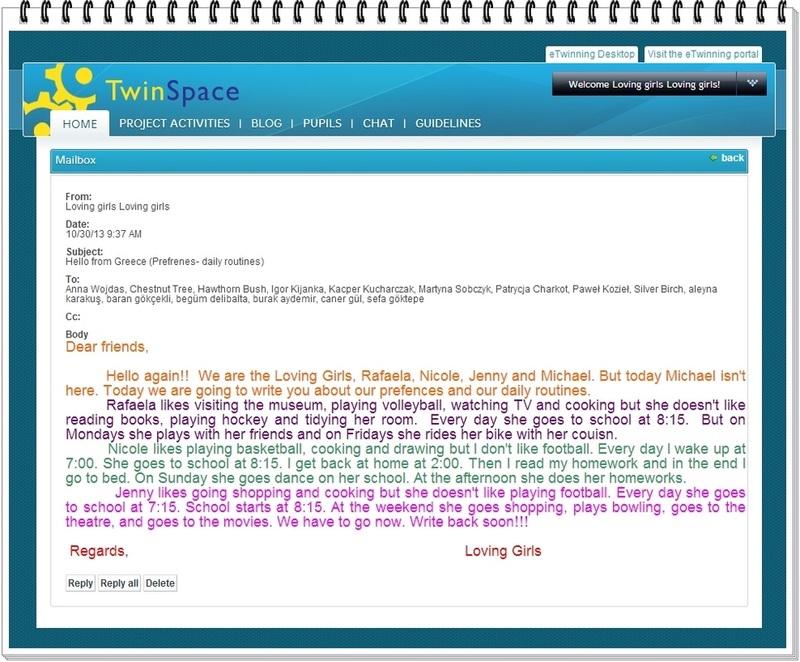 For their second activity, students of ST2 had to write emails using the Twinspace email client and send them to their e-friends. 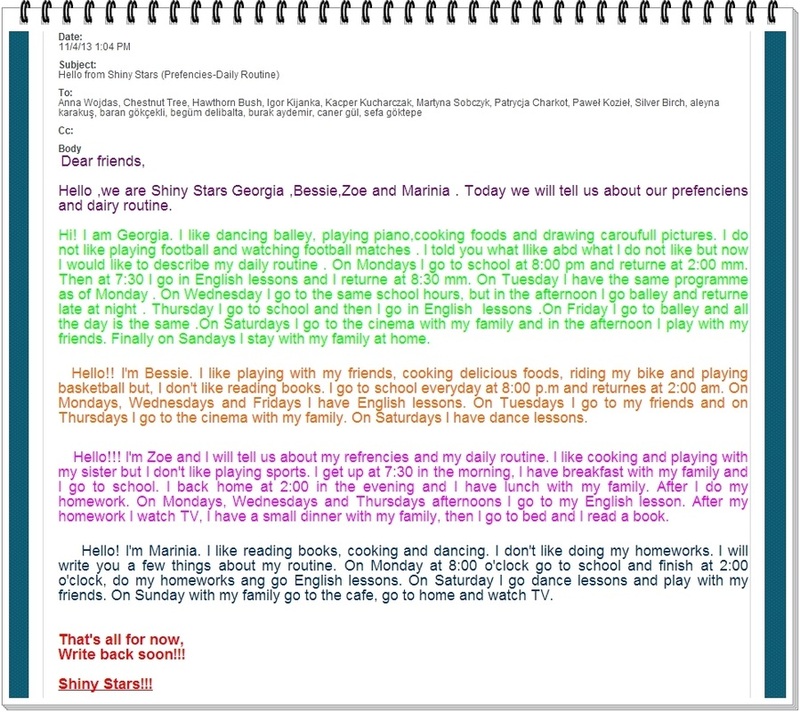 The topic of the email was "Preferences-Daily Routine", and in this way the students had the chance to exchange information about things they love, things they don't, and also share a few moments of their daily routine, giving their e-friends a better idea about who they are, but also learning a lot about their pals from the other countries themselves. 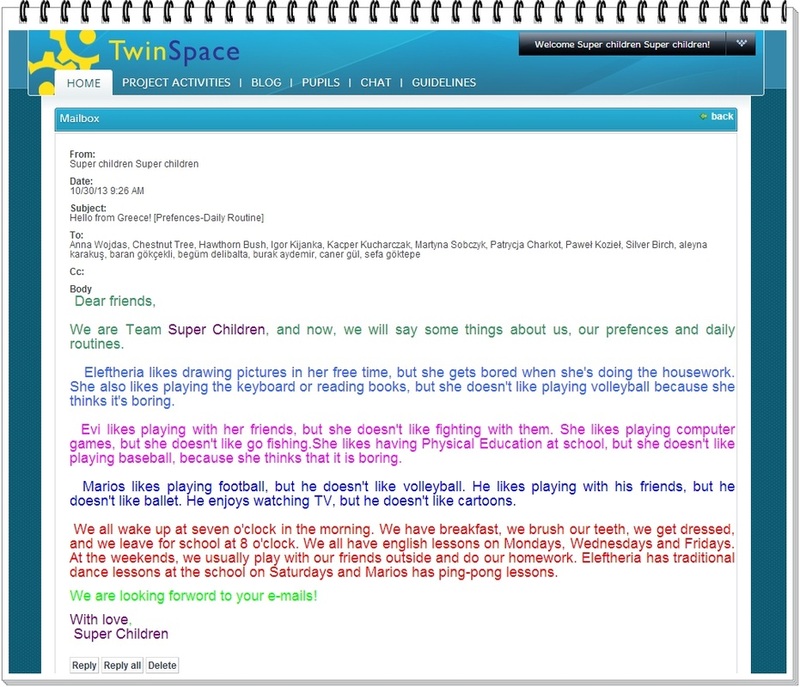 You can see the children's work in the material below. 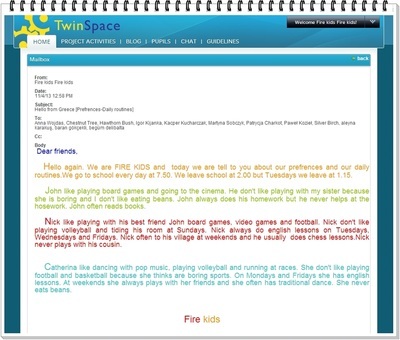 - write their Christmas e-wishes on a virtual wall created on padlet for the particular project. 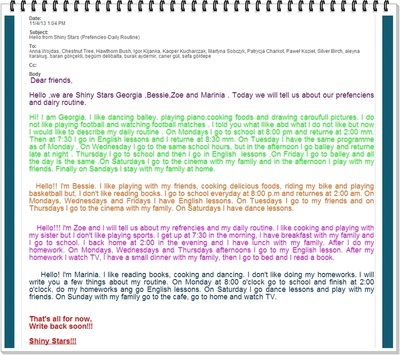 The children did an amazing job, as you can see below. 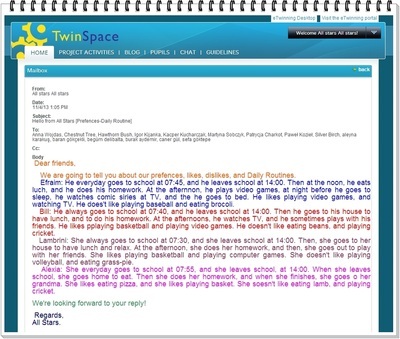 "Our school-our timetable" was the title of the 4th eTwinning activity. 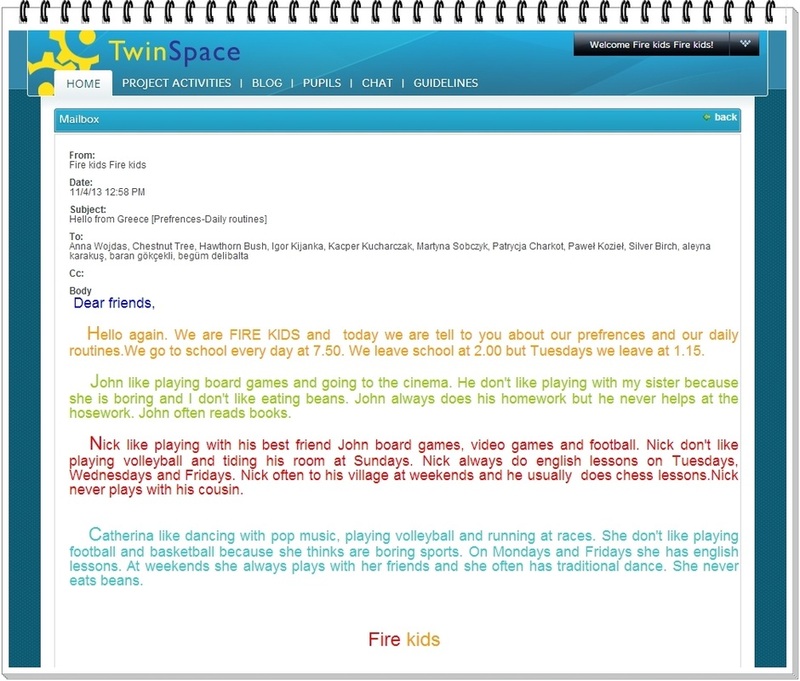 Students prepared great presentations in which they fully described their school and their timetable. Check out their work in the following flipbooks. "Our country-our city" was the topic of the 5th eTwinning activity students of ST2 had to complete. 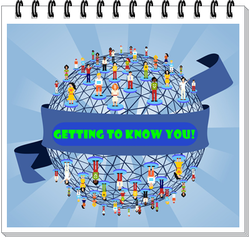 To this purpose they created pretty lenghty presentations, giving full information about their country and their city, in an effort to better inform their e-friends. And the outcome of their work was really impressive. Have a look below. 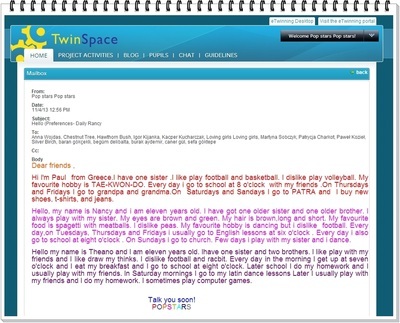 For their sixth activity students of ST2 wrote about Easter customs and traditions in Greece in order to share them with their e-friends. Check out their amazing work in the document below. For their seventh and last activity, students of ST2 got to do their most creative and fun work. 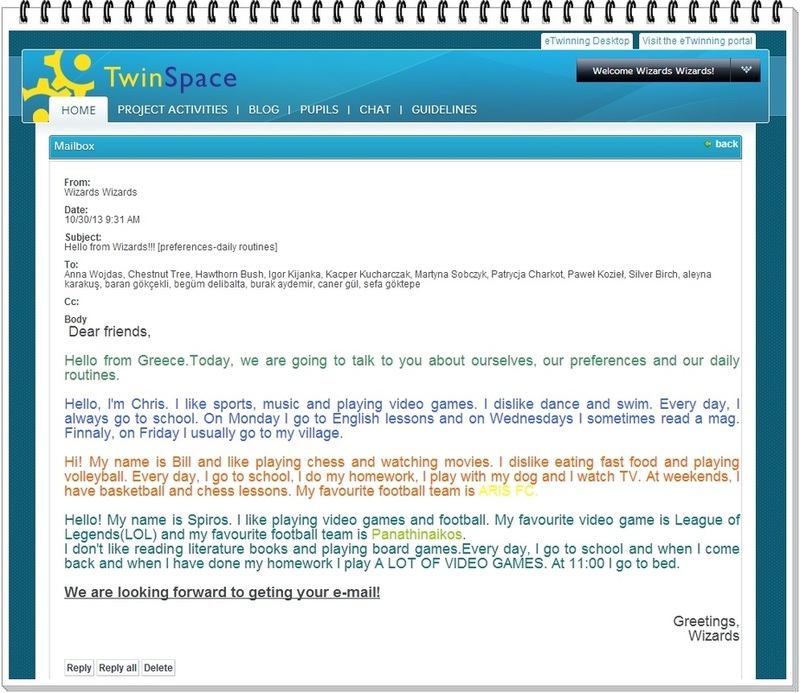 They created videos presenting local recipes to their e-friends, employing the Windows Live Movie Maker ICT tool. Their results were pretty informative and interesting. Check them out below! Well done, children! 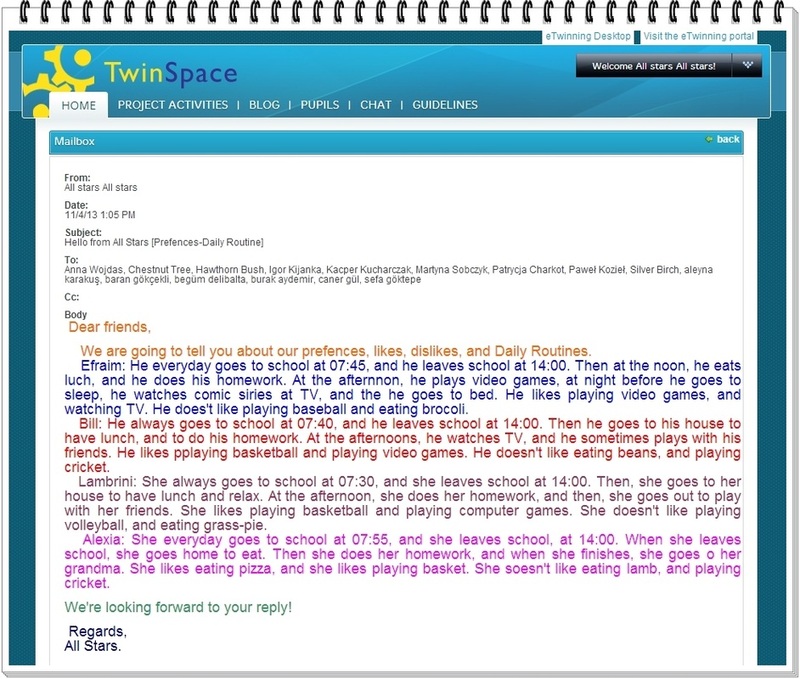 And that was a quite entertaining wrap in our eTwinning project for this year!